The all-new Roubaix Comp now delivers compliance without compromise by introducing a radical new Future Shock 1.5 that gives you more control on rough roads, a new Pavé seatpost that creates our most balanced Roubaix to date, aerodynamics that equal the Tarmac, and a Rider-First Engineered™ frame that’s shed some serious weight. Is it still comfortable? Sure, but don’t call it a comfort bike, because performance was behind every engineering decision we made. This is the new Roubaix. The new frame delivers compliance without compromise via the perfect balance of aerodynamics, light overall weight via a FACT 10r carbon construction, compliance, and Rider-First Engineering™. With tube shapes that were born in our FreeFoil Shape Library and validated in the Win Tunnel, the new Roubaix’s as aero as the Tarmac SL6. Meanwhile, to ensure the weight and ride quality, we turned to a Rider-First Engineered™ design to deliver optimal stiffness and compliance across all sizes, from 44 to 64cm. Of course, the frame has shed some serious weight in the process. To prep you for your own Hell of the North, Specialized have made room for 33mm tires. 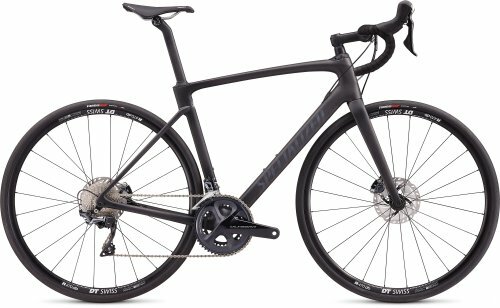 The Ultegra groupset featured on this model is as ideally suited to long days in the saddle as it is racing. Featuring all of Shimano’s best pro peloton proven technology developed, tested, and trickled down directly so it is more intuitive to use resulting in less rider fatigue and more enjoyment. The key specification upgrade over the Sport model is the groupset which provides a lighter shifting experience along with a considered balance of light weight and excellent durability in every component. The DT Swiss wheelset completes the lightweight, durable specification to deliver a bike that rides as fast and as smooth as it looks.